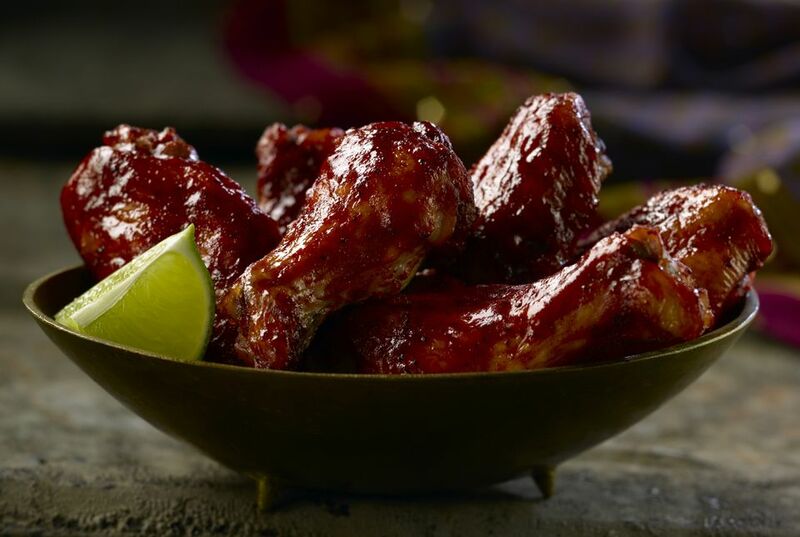 Spicy chicken wings are cooked in the crock pot with honey and barbecue sauce, along with spicy seasonings. Rinse chicken wings; pat dry. Cut off and discard wing tips then cut each wing at the joint to make two sections from each wing. Sprinkle wing pieces with salt and pepper; place the wings on a lightly oiled broiler pan. Broil (550 F) about 4 inches from the heat for 10 minutes on each side, or until the wings are nicely browned. With tongs, transfer the wings to the crockery insert of a slow cooker. In a bowl, combine barbecue sauce, honey, spicy mustard, Worcestershire sauce, and Tabasco. Pour sauce over chicken wings. Cover and cook on LOW for 4 to 5 hours or on High 2 to 2 1/2 hours. Serve hot, directly from slow cooker, keeping temperature on LOW.